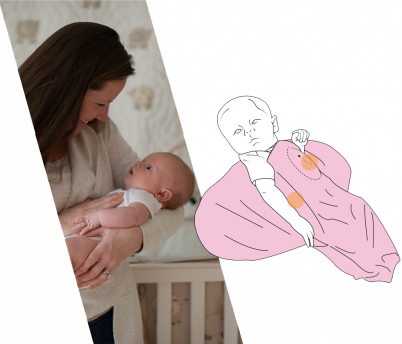 Help your baby sleep through Moro Reflex. Moro Reflex disrupts your baby's sleep. You wrap them in your embrace to comfort and soothe them. 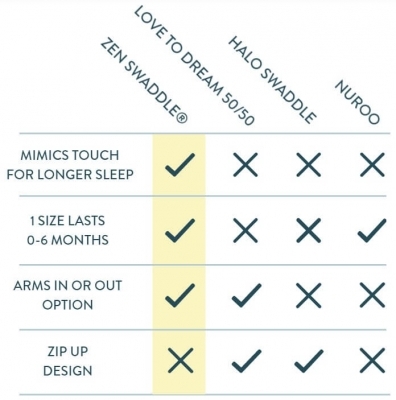 The Zen Swaddle's® weighted design simulates your embrace and draws limbs closer for a secure feeling. 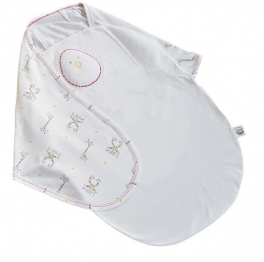 The Zen Swaddle® helps babies calm through Moro Reflex. They fall asleep easier, and stay asleep longer. 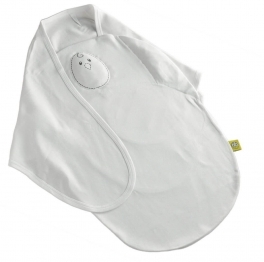 We've been using the Zen Swaddle for about a month and my daughter will now go back to sleeping on her own after a feeding. She's also started sleeping in longer chunks (up to 8 hours!). I know some of that is due to her age as well, but the Zen Swaddle really helps in that she doesn't startle awake when I try to put her down or take my hands off of her. She consistently sleeps better when she is wearing it and falls asleep quickly (usually within 5-10 minutes of putting it on). 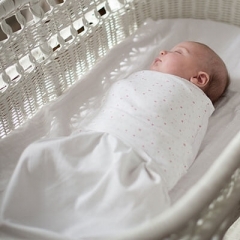 This would probably be my favorite swaddling product just because of the quality of the materials, but the weighted pouches really put it in a class all of its own...Thanks to Nested Bean for thinking up this amazing product! Our little one still loves to be swaddled even though he has outgrown all the "regular" sized sleep sacks we have on hand. Thank God for this one! It is lightweight so he doesn't sweat buckets at night (we live in the South) and he doesn't wriggle his arms out of it to startle himself either. Before, we were having to use the linen swaddle blankets, which, while they mostly worked, were not fool-proof. This one is so functional I am about to buy another as a backup! LOVE LOVE LOVE Nested Bean. When I pull this swaddle sack out and strap my little guy in, he immediately starts to fall asleep. He has a strong startle reflex and this really helped keep him asleep. I didn't find this product until my baby was already 3 months old but the weighted beans on the chest and sides did help with my baby's startle reflex. He was able to nap longer and better than before. I wished I bought this when he was born. Overall a good product. According to studies from the Stanford University, department of psychology, physical contact with a caregiver appears essential to reducing the release of stress hormones, thus helping infants calm and control their response to stress. Another study from Duke University Department of pharmacology, shows that chemicals released under positive touch, have direct and crucial effects on infant’s growth. Furthermore, this research also proves that this same effect can be seen when the touch is induced by stimulating pressure receptors with the help of an object applying similar pressure to the touch from a person.